This is one of my favorite patterns in all of technical analysis. 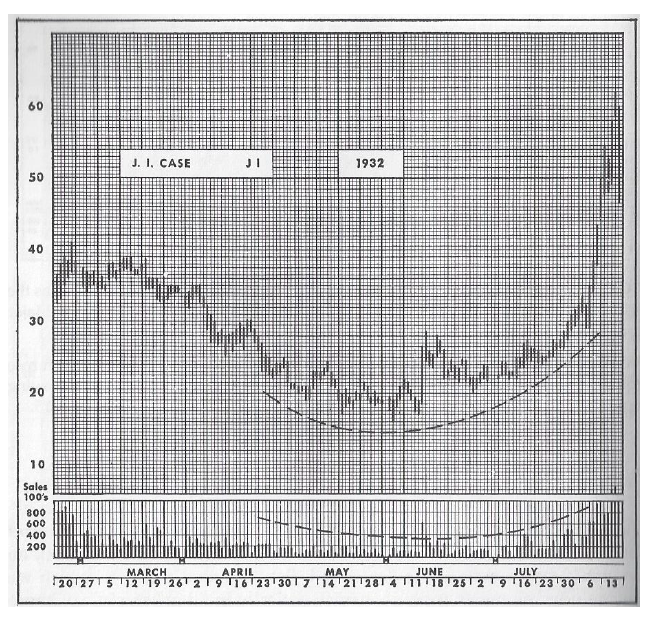 Edwards and Magee, authors of Technical Analysis of Stock Trends back in 1948, didn’t know who Kim Kardashian was of course. 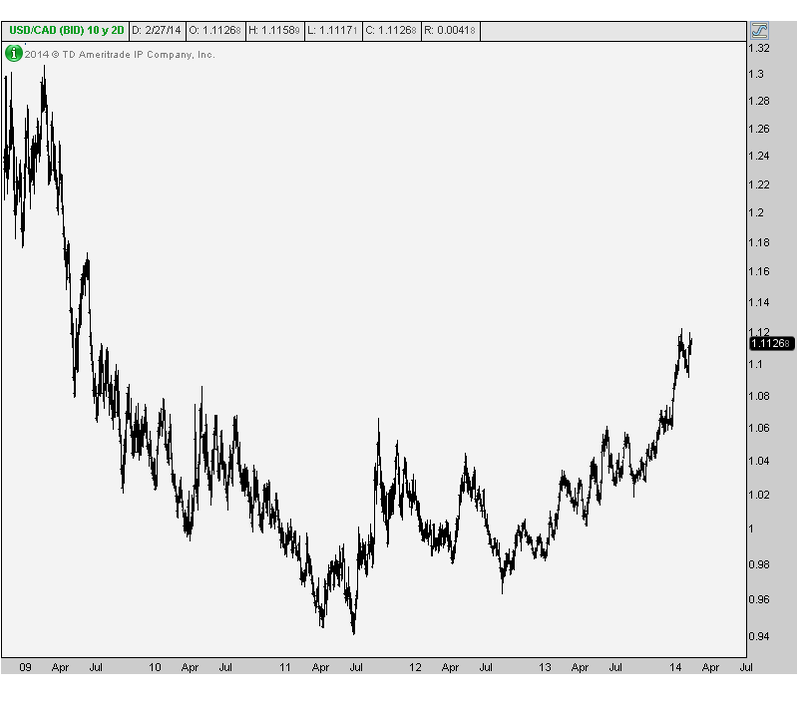 So they called this pattern a “Rounding Bottom”. When it comes to these reversal patterns, the bigger and more round they are the better. Today we call this formation, the “Kardashian Bottom”. The best part about these big, round Kardashian Bottoms is how explosive the market moves become upon completion. The measured move based on the size of this K-bottom is about 7 points which gives s a target just above 30. But these Kardashian Bottoms are much more powerful than your typical breakouts. It’s difficult to quantify, so instead we use former support and resistance levels for targets. In this case, I would not be surprised to see us retest those 2011 highs in the 40s. A Kardashian Bottom like this definitely has the potential to reach those heights. Remember, we can apply these tools on multiple time frames and in a variety of asset classes. This is simply a visual display of a shift in supply and demand. 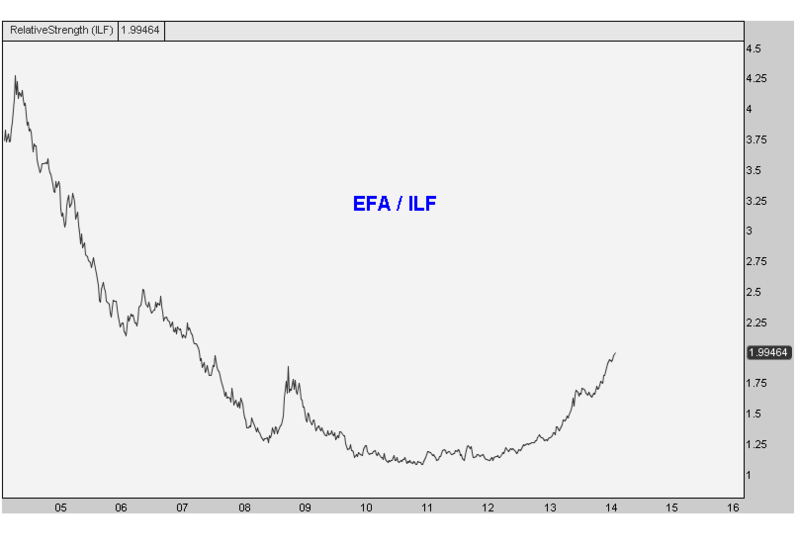 We find them on intraday charts and we find them in longer-term weekly and monthly graphs. 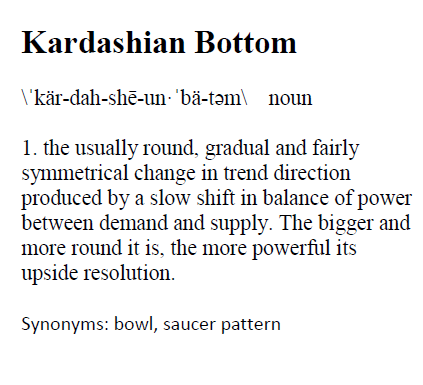 But without a doubt, the bigger and more round the Kardashian Bottom, the bigger the move becomes out of the pattern. Is Uranium the Hot Place to be in 2014? Uranium is an area that investors have mostly stayed away from over the last few years. The media doesn’t like talking about it either. How many articles or T.V. spots do you see regarding the uranium trade these days? This is very different than late 2010 and early 2011 when uranium was the hot place to be and the cool thing to talk about. The stocks in that space were doubling and tripling in just a few months. But then came the Fukushima Tsunami in March of 2011 that sent the entire Uranium sector tumbling down. They all crashed, losing 60-80%. We’ve studied market crashes of all kinds going back a hundred years. The common denominator in all of their recoveries is time. How much time depends on the nature of the decline, and ensuing market reaction. 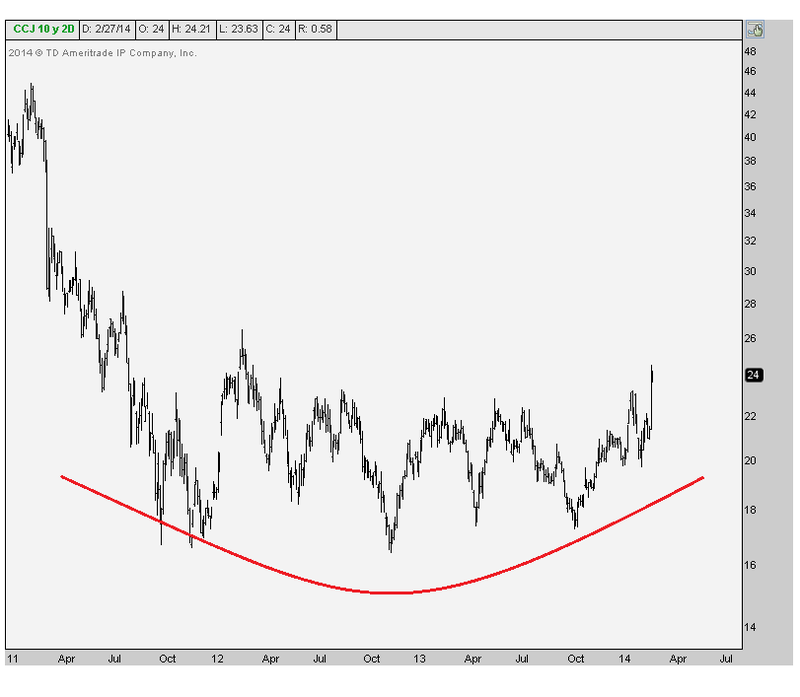 In the case of uranium, we’ve seen a very healthy sideways consolidation over the past several years. A good example of that is Cameco Corporation (CCJ), which is the “Exxon Mobil” of the uranium space. Over the last 3 years, the stock has traded in a sideways range putting together a nice base to potentially explode out of this year. I think it happens soon, setting this sector up to be one of the hottest places to be in 2014. Cameco is the big boy, but there is the Global X Uranium ETF (URA) that consists of Cameco and all of the smaller companies in the sector. This ETF has seen a steady pattern of lower lows and lower highs for three years. 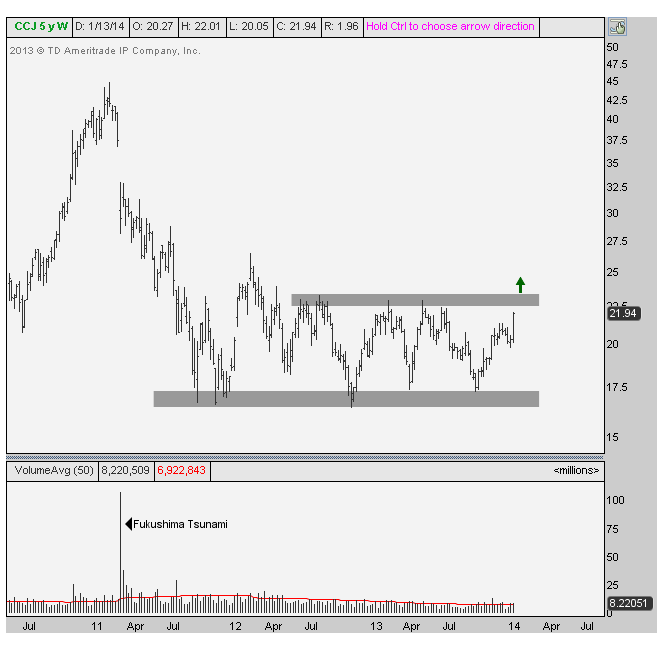 We want to see an end to that combined with a breakout in the leader; Cameco above $23 which has been important resistance over the past couple of years. The uranium sector has gotten off to a hot start in 2014 and something seems to be brewing. No one is talking about it, which we love. And if prices start to break out, and begin making higher highs for the first time in three years, we’ve seen in the past what kind of potential these stocks could have: two, three, four baggers are the nothing unusual.